Below are some images which were taken at some of our recent Golden-Oldies Christmas Parties. In Staffordshire, Goldies development of sessions was celebrated with a fundraising concert on Saturday October 31st. Bath Male Choir were the guests and transport was provided to enable a large group of Goldies who attend local sessions to have a great evening out. Huge thanks to Anne Griffiths, our programme leader in Staffordshire, who organised this memorable event. Here are our Withywood (Bristol) Goldies having a great time with session leader Lizz Lipscombe. Dr. Jenny Smerdon, Chair of the Goldies Trustees organised a Mad Hatters Tea Party at St Barts Church, Oldfield Park, Bath raising £300 for the charity. As you can see from the photographs, an enjoyable time was had by all. Goldies Founder Grenville Jones was a guest of the Dorchester Inner Wheel Club in August. Our picture shows Grenville being presented with a donation from the club by President Denise Addison. The Chairman of Bath & North East Somerset Council, Cllr Rob Appleyard, was a welcome guest at the end of November when he called into the Goldies office on the Westfield Industrial Estate near Bath. Cllr Appleyard heard about the progress of Goldies in the last five years and welcomed our new Chair of Trustees, Dr Jenny Smerdon, to her new role. Pictured (left-right) Jody Chorley, Grenville’s PA; Goldies founder Grenville Jones; Cllr Appleyard; Dr Smerdon; Russell Abel, Finance Officer; Abby Rakes, Admin Officer; Jacqui Cook, one of our session leaders in the Norton Radstock area and Emma Shearman, Fundraising and Music Assistant. 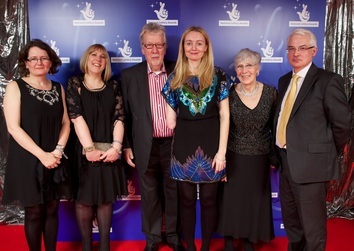 Representatives from the Golden-Oldies Charity attended the sparkling National Lottery Awards ceremony and live BBC1 television show on December 8. Pictured (left-right) Janet Friel, Geraldine Bennett, Grenville Jones, TV presenter Cerrie Burnell, Vera Bennett and Raymond Friel. Below are a selection of photos taken at the Bath Half Marathon on Sunday 11th March 2012. 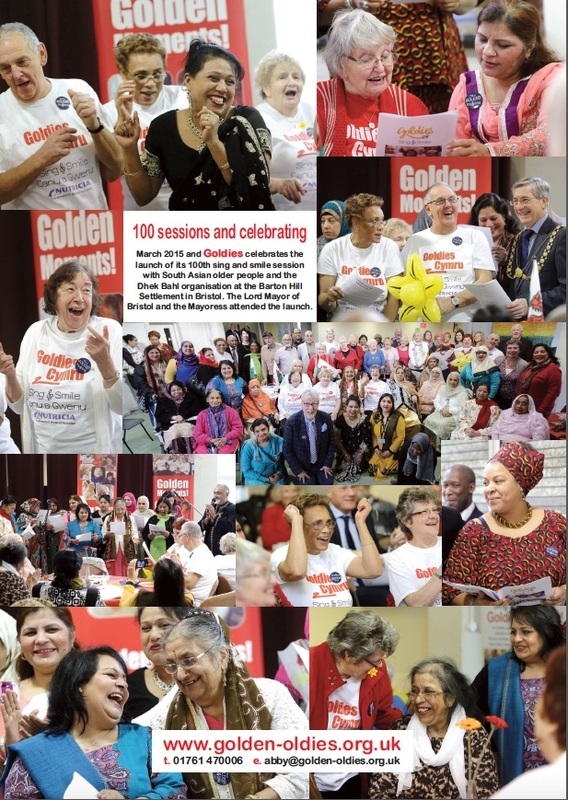 On Saturday 1st September Goldies held their annual Summer Concert. This year it took place at Writhlington School Theatre with the fantastic line up of the Kooky Ukes, Bath Good Afternoon Choir, Susan Hill School of Dance and Goldies very own Brotherhood of Man! Lots of fun and singing was had, a light tea was put on and transport was provided.